 The Marine Hotel is a large family run hotel in Aberystwyth, a unique Victorian building along the Promenade. 'No two rooms are the same' with us at the Marine, and in endeavouring to keep the character of the building, every room varies in decor and size...many believe that this adds to the appeal and charm of the hotel. We have a new wing of the hotel which has a terraced area you can step out to - ideal for our guest who smoke - as all rooms are strictly non-smoking at the hotel. We have sixty individually designed bedrooms & apartments within the hotel. There are some things you will find in every one of these rooms: Comfy beds with crisp cotton sheets, shower and/or bath, digital televisions, complimentary Wi-Fi and tea and coffee facilities to name a few. With a lift to all floors, we have several rooms that are accessible for wheelchair users or have some rooms more suitable for those with walking/mobility issues - please let us know when making a booking and we will do our best to ensure we can meet your needs. Our rates include a complimentary full Welsh carvery style breakfast, should you be leaving the hotel very early, we can arrange for a packed breakfast for you to take with you for your travels or packed lunch to order. To make your stay extra special we can arrange a champagne breakfast in bed or flowers delivered to your room on arrival! Most of our deluxe rooms enjoy fabulous view of Cardigan Bay. They include a large feature bed - some have a four-poster bed and a jacuzzi bath or a roll-top bath for an extra treat! Our executive rooms are our larger rooms with super-king sized bed that can either be a twin or super-king bed. Most of our executive rooms have sea-view. Our standard double and twin rooms are comfortable rooms located on various floors. Some have sea-views and the quieter rooms have a view over the rear of the hotel. Our compact all include a small double bed, an ideal room for single travellers, but can accommodate two people. We have several that have sea-views. Our single rooms are all located at the rear of the hotel, and vary in size, and we have several located near the lift for guests with mobility problems. Our triple room include a double and a single bed - varied location within the hotel, most with either a bay window or dormer window looking out on Ceredigion Bay. Our family suite have two rooms that are adjoining bedrooms that share the bathroom facilities. They vary in bed arrangements but can sleep up to 5 or 6 persons. We have one family suite with accessible facilities. Our family rooms consist of one large bedrooms that vary in bed arrangements that can sleep from 4 to 5 persons. Please ask our team for bedroom layout to suite your family/group needs. We also allow adults to share in our family rooms. We have a lift to all floors in the Main Hotel for your convenience.